Here in the United States Presidents’ Day is this upcoming Monday. Though it appears there is a inordinate focus on Car Sales the spirit of the holiday is to celebrate our presidents. The holiday was originally only supposed to be for celebrating George Washington’s Birthday but enough states decided to lump all of the other presidents in there that most people think of it as a holiday honoring all American Presidents. The most memorable presidents seem to be those that were truly tested but the events and circumstances of their time. One of my favorites is Abraham Lincoln who not only miraculously kept the United State together but also freed slaves with his Emancipation Proclamation. 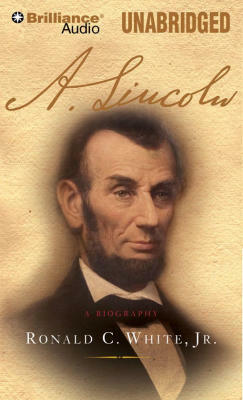 Since this is also African American History Month Lincoln’s life takes on that special significance to the African American community. As part of our celebrating African American History month we have put up a dedicated page on Martin Luther King audio books that we have in our collection as well as other titles like the autobiography of Frederick Douglas. Another favorite of mine is Nelson Mandela whose autobiography is narrated by Danny Glover of Lethal Weapon fame. This section does not include all of our African American authors so please use the search feature on the CreateTimeAudio online audio book store to search for specific authors or titles.